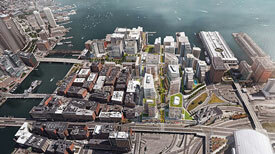 What does it take to build a neighborhood in Boston? The creation of the Seaport is just that: in just over a decade we have gone from dirt lots, through planning, to a famed destination location that supports life, work & play. Self-driving cars are going to change our relationship with the automobile far more significantly that any other change that has been introduced over the century. The days are numbered until we simply “Uber” our own car to come pick us up after work. Some car manufactures are building their own technology to compete directly with ridesharing companies. 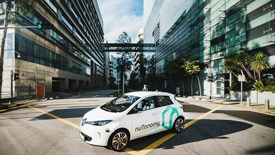 “Boston and Massachusetts are leaders in rethinking the future of transportation, and we are grateful for their partnership and support of nuTonomy’s efforts to develop a fleet of self-driving cars to serve the public,” said CEO Karl Iagnemma in a statement. The pilot program will be the first test of autonomous vehicles on public streets in Boston, and comes just a month after Mayor Marty Walsh and Gov. Charlie Baker signed executive orders allowing tests of the vehicles as long as they pass state inspections and have a person in the driver’s seat ready to take control if anything goes wrong. The nuTonomy test is part of the the Go Boston 2030 plan to rethink city transportation over the next decade and a half. The Financial District is no longer home to bankers, mutual fund managers and lawyers. The Financial District of today is home to a great cross section of newly funded and well established tech companies. Within our client base we are seeing customers looking for Red Line access for their employees along with space that is competitively priced. Office spaces within the Class B market can range from upper $20’s to low to mid $30’s. 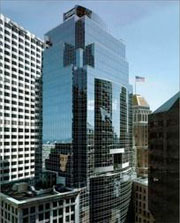 To read the full BBJ article, continue on to the Boston Business Journal’s website.